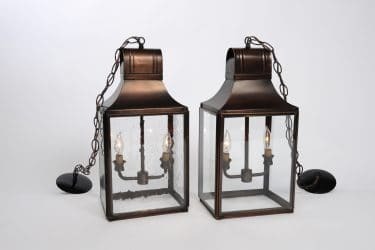 JAIL LANTERN PENDANT | Campo de' Fiori | Naturally mossed terra cotta planters, carved stone, forged iron, cast bronze, distinctive lighting, zinc and more for your home and garden. 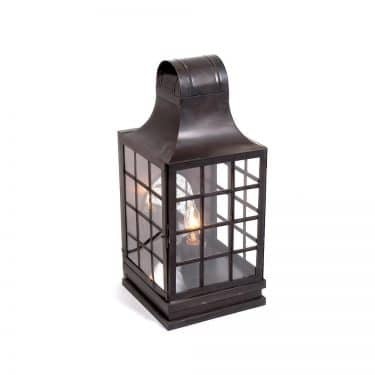 A traditional New England piece, reminiscent of the hand held lanterns of the American revolution. 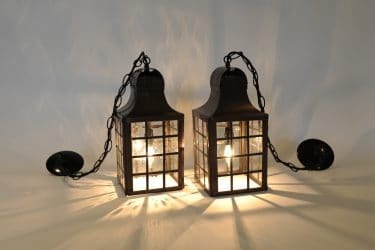 This charming lantern now comes in a pendent version, casting interesting shadows wherever it is hung. Each lantern is cut and soldered by hand, evoking the simplicity and traditional elegance of a more tranquil time. 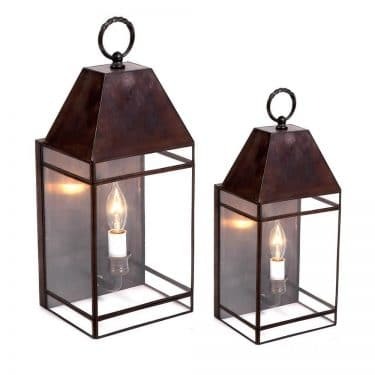 Not only are these lanterns well made, but also stand up in all weather, and age gracefully. UL approved. 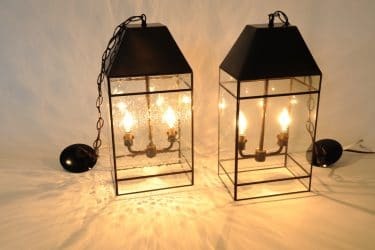 This is the traditional clear glass version.